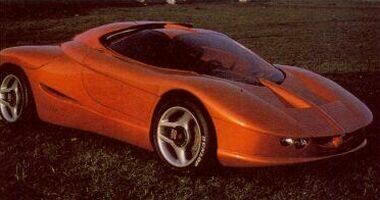 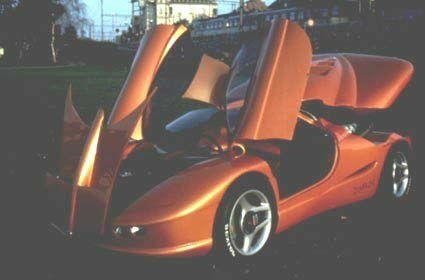 1997 "Ionos" by Sbarro was the 70-year old designer's interpretation of a modern Lancia Stratos. 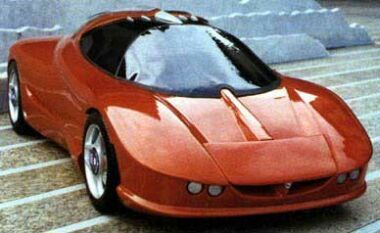 It uses two Lancia 5-cyl engines coupled together to create a V10 layout. 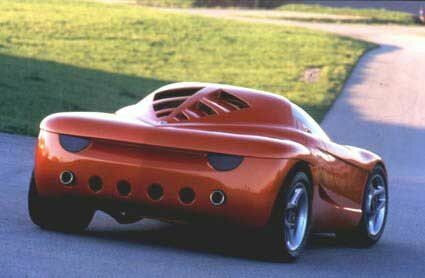 The transmission is from the Porsche 911 Carrera 4 and it is fitted with a braking system drawn from the DTM race series cars.